Danesfield Manor School promotes traditional values in support of a complete education. They combine small class sizes and individual attention with a teaching approach that motivates children to be excited about learning. 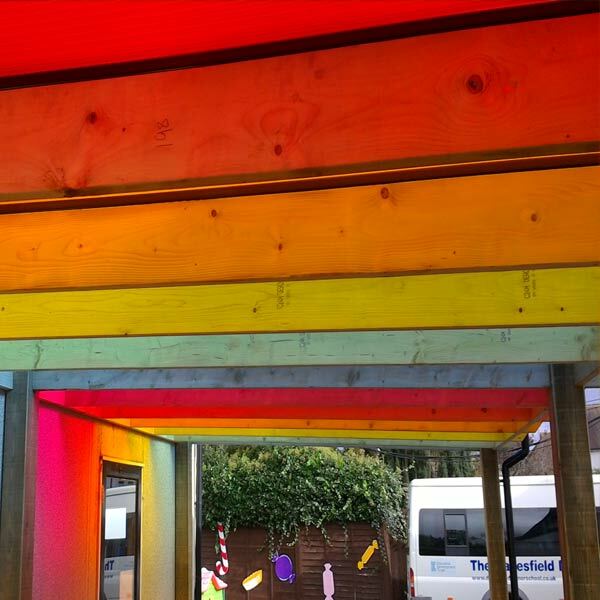 The school contacted NBB Shelters as they wished to cover a decked area with a custom freestanding timber shelter with a vibrant multi-coloured roof. It was decided that the perfect option would be Tyneham Timber Canopy measuring L7300 x 3650 x H2590mm with a Rockwell Glazing Roof System. A second shelter was also required for a parent waiting area outside the main entrance, the Winterbourne Wall Attached Shelter was the best solution. 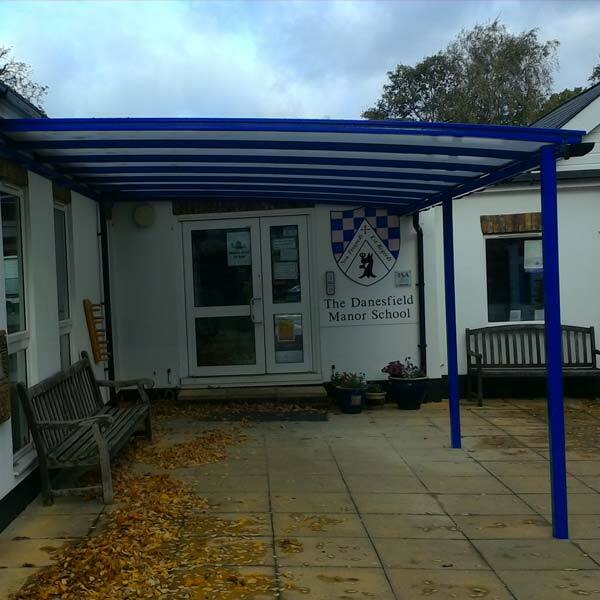 The finished structure measured measuring L6000 x 3600 x 2400mm, and to match with school colours the structure was powder coated Blue RAL5002 with Opal coloured roofing. NBB worked with the school to provide the most suitable structures for their required purpose. 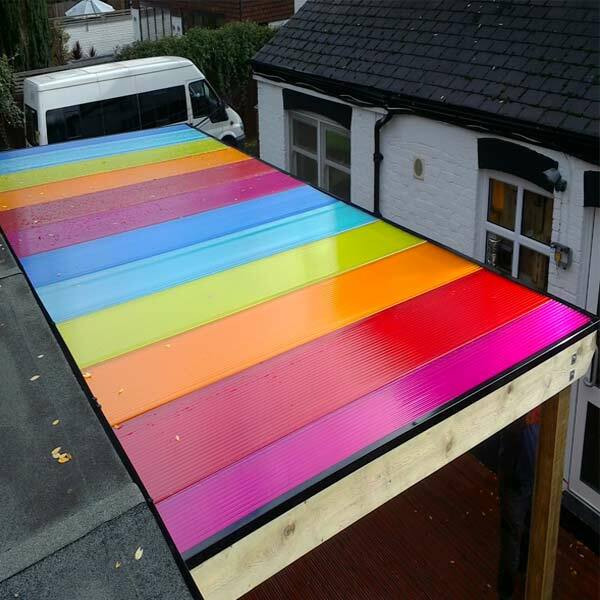 The installation was carried out during school holidays so that it did not cause any disruption to the children’s daily routine. The completed project looks fantastic and will continue to do so for many years to come!